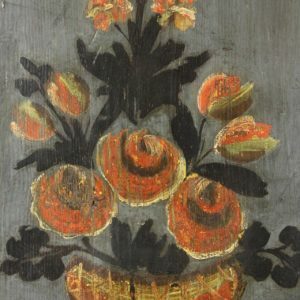 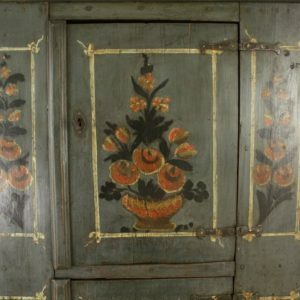 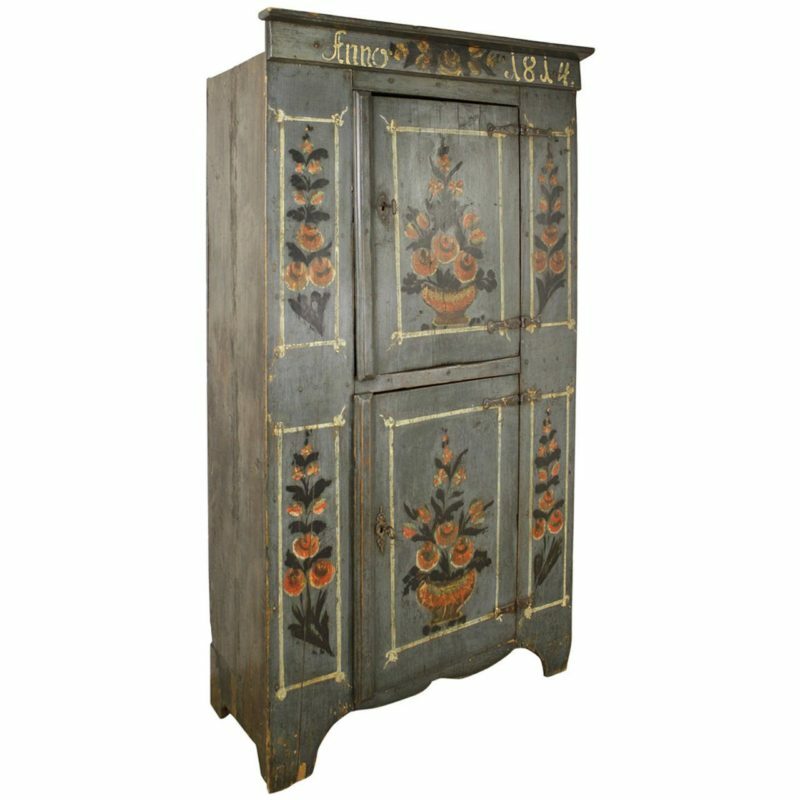 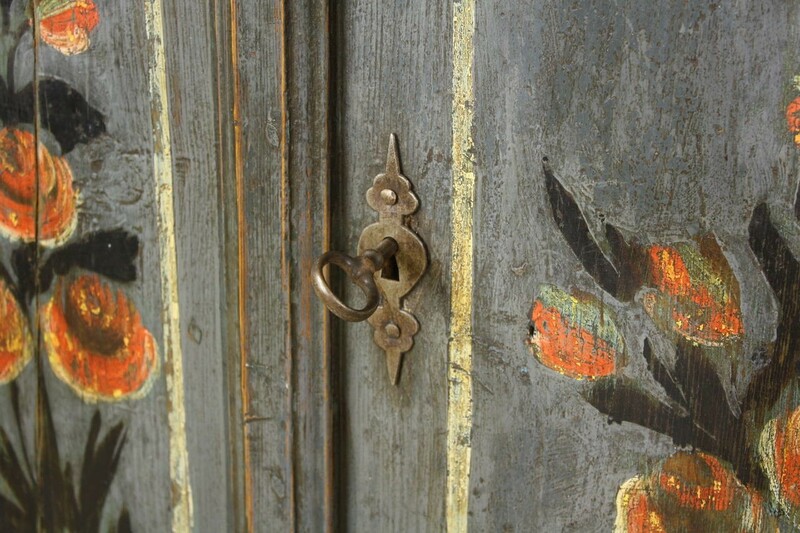 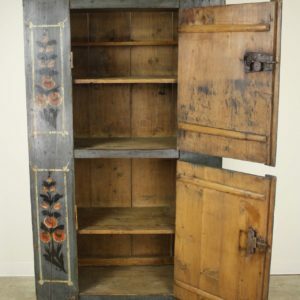 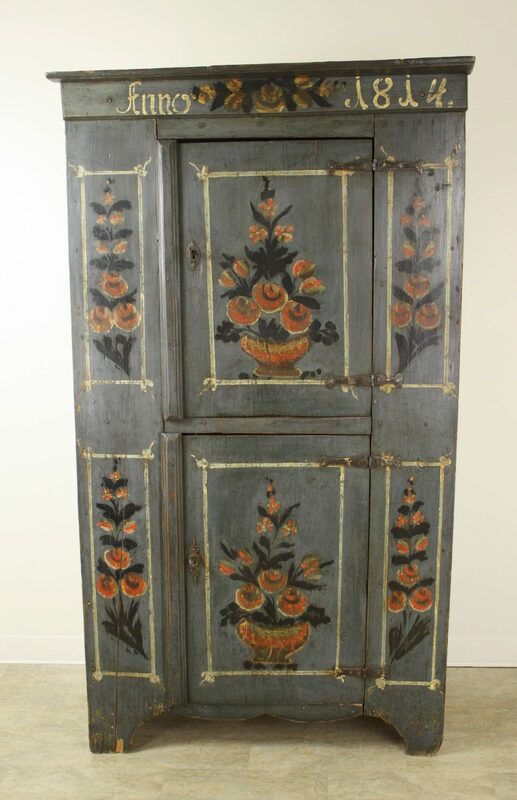 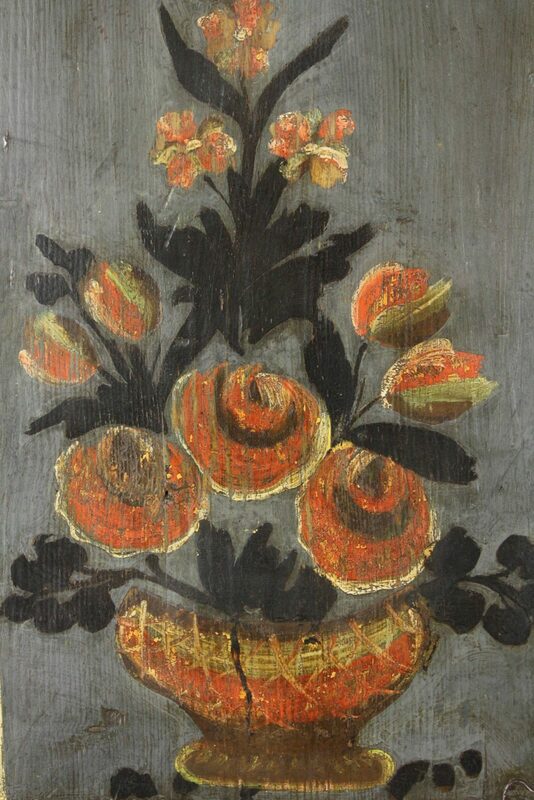 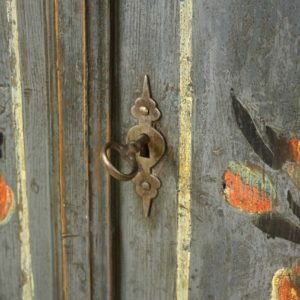 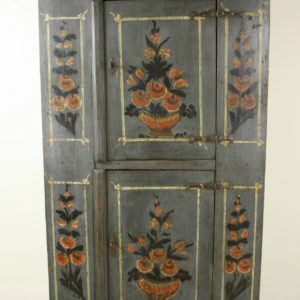 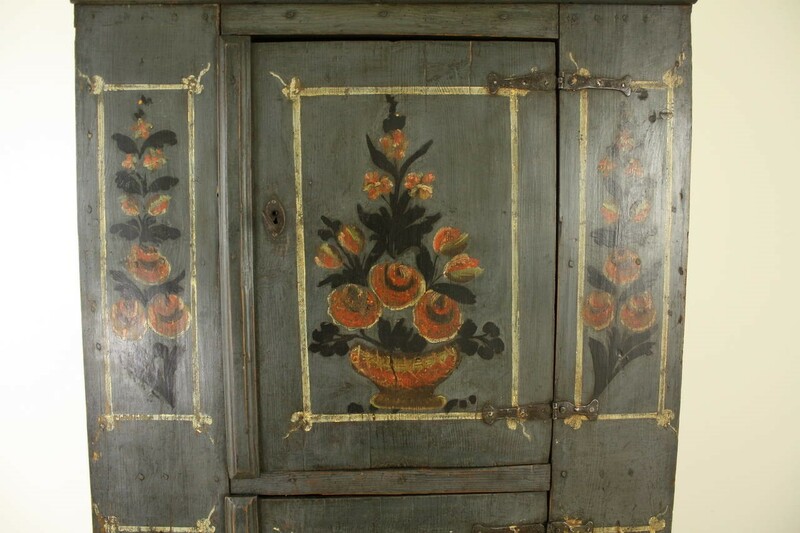 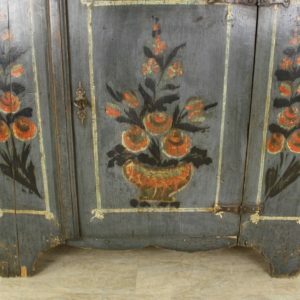 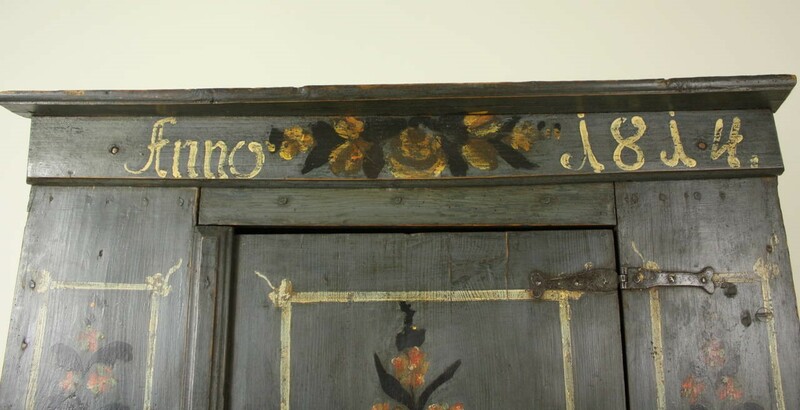 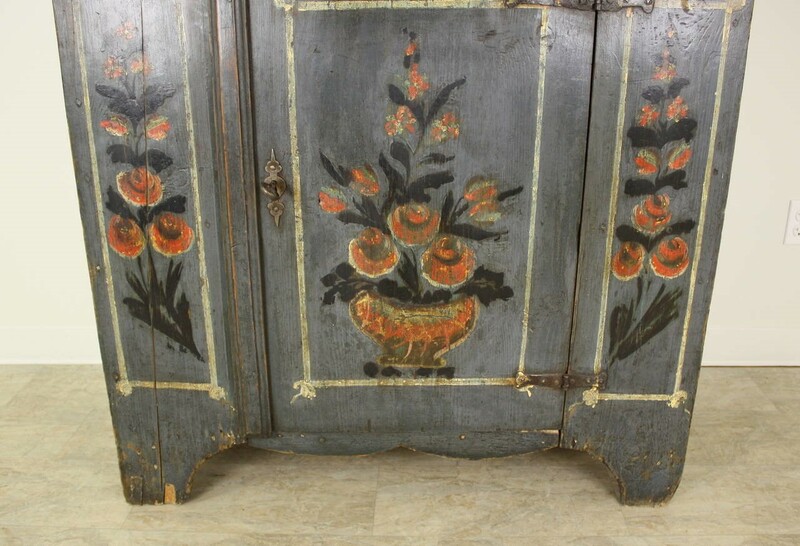 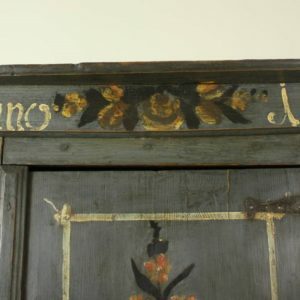 The charming bouquets of this piece are all original paint, on a stunning blue grey background, with original hand-wrought iron hinges and wood pegs. 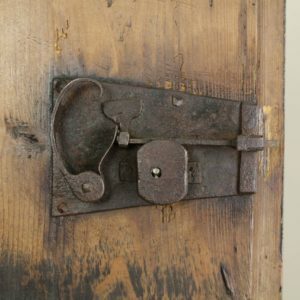 The upper door lock is very unusual; the lower door lock was replaced, but quite some time ago. 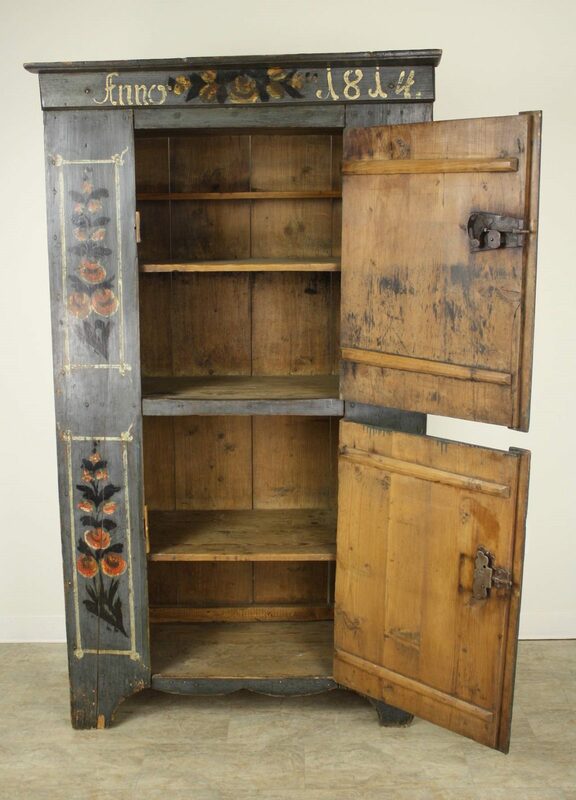 The cupboard is all one-piece. 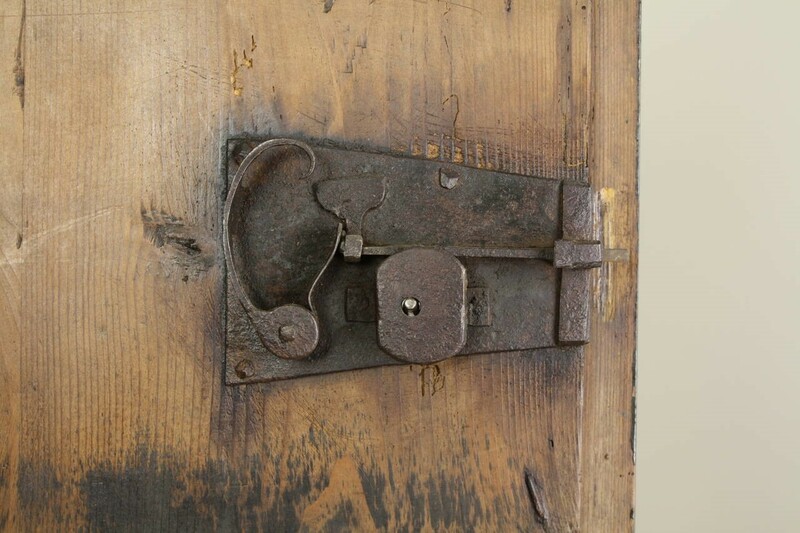 This is just glorious thing!